It’s summer and the Docile Bodies project research and development is in full swing. I have summer sublet for my studio, bought all kinds of equipment, and hired an Emily Carr Univ co-op student skilled in coding and 3D animation. 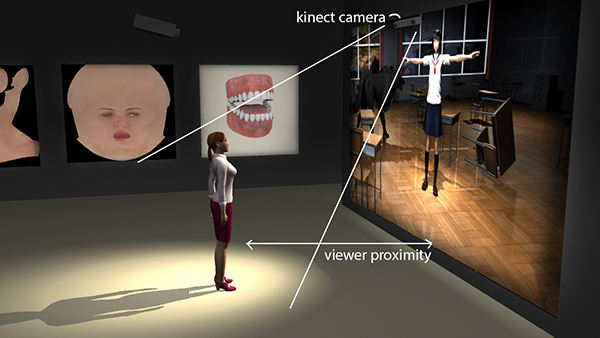 The Kinect Sensor will be used quite a bit to integrate the Viewer’s location and behaviour (gesture, direction they’re facing, vocal speaking) as triggers for the various avatars. The avatars and associated media will be housed in Unity 3D gaming engine. Hey, it was really wonderful to have my film “Happy & Gay” receive the Sardinia Queer Audience Award at the 2015 Sardinia Queer Short Film Festival! This was the first time I ever had to do a pre-recorded “thank you,” and it was a little odd to do it, as I imagined it was a long shot. But, it wasn’t! (here’s a few frames as a gif) It’s super to have the work recognized! Grazie mille, Sardegna!! My newest project work has transformed and evolved well during the research and development phase. The title has changed accordingly. “Vigil” has become “Docile Bodies,” as the tenor of the subject has become even more focused on an aspect of “being responsible for another’s well being.” I’ve had good progress in grounding it within solid ideas and materials, and it continue to feel dynamic and evolutionary to me. It’s conceived of as an iterative work, and I’ll be taking on this initial phase of “Docile Bodies” with a goal of Fall 2017 for its exhibition readiness. 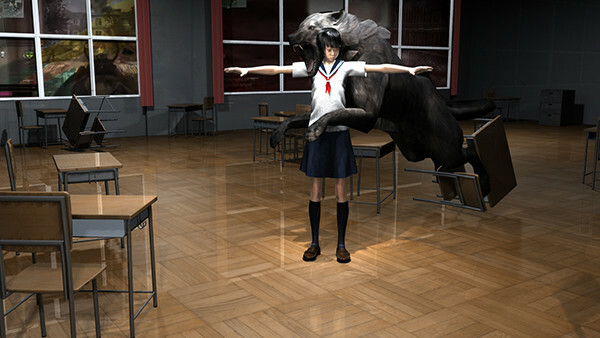 Docile Bodies is the first of series of interactive, animated narrative environments. It is formed as a spatial narrative that examines a viewer and their viewed subject’s potential agency, or lack of it. Video gaming culture, fairytales and queer narrative provide a storytelling frame with which to examine representation of body, gender, power, the gaze, and sexuality. The project asks for the involvement of the viewer’s physical, mental and emotional states, using their own body, processing and decision making, and empathy for another being in distress. If the viewer can determine what the subject needs, and is willing to commit to the effort, they can help. Using technology to track the viewer’s engagement through body and gaze location, the media they are viewing is affected and responds, as narratives come to life, skins speak and bodies transform. 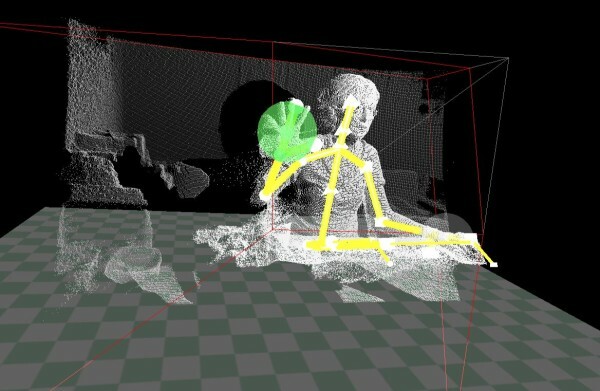 This installation is using sensors and a gaming engine system to craft an interactive, animated narrative environment. The 2015 Creative Capital Artists are an incredible group of creative thinkers, representing 50 artists at all stages of their careers with an age range of 28 to 80 years old. They hail from 13 states plus Puerto Rico and Canada; more than half are women, and more than half identify as non­-European American. Please visit the Creative Capital link to read about my project’s description and goals. “Happy & Gay” just won a Jury Award at the Image+Nation Film Festival in Montreal. Nice surprise! 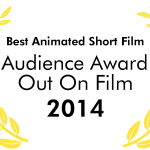 “Happy & Gay” has received the Best Animation Award at the LesGaiCineMad Film Festival in Madrid. 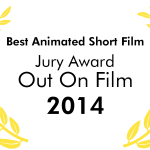 “Mejor Cortometraje animado: “Happy and Gay” de Lorelei Pepi.” I would have loved to been able to attend. I haven’t yet been to Spain, and it’s at the TOP of my list of places to go as soon as possible.